These days, there are so many different VPN choices on the market. More and more people are turning to the privacy and security that Virtual Private Networks or VPNs offer, but how exactly do you choose one from another? The best VPN for you depends on your needs. Are you trying to get around content restrictions based on location? Are you looking to trade cryptocurrency? The best way to figure it out is going through some VPN comparisons (for example this one) and seeing which services offer the best overall features. From here, you'll be able to narrow it down to exactly what you need. When selecting a VPN provider, make sure they tick all these boxes. Even if you are casual internet user and you mainly just use social media, stream content, exchange emails, and so on, you don't want to give up too much on speed. Nowadays, no matter what website you go to, it's likely going to be content-heavy with a lot of images, videos, and graphics, and there's nothing more frustrating than having to wait for everything to load. When going through your VPN comparisons, do a speed test. The best way to do this is to run a speed test without the VPN turned on, then after. If you see more than a 10% decrease in network speeds, then go with a different option. 2) Where Do You Need Secure Access? These days, more and more privacy experts advocate using a VPN for all your online activity. This is because even major websites get hacked and fall victim to malware, phishing attacks, worms and other problems that may get transferred over to your computer and mobile device. For this reason, you want a VPN that provides flexible service across devices. This means that it allows you to protect your home computer while also being compatible with your router, so all your home internet activity is safe. 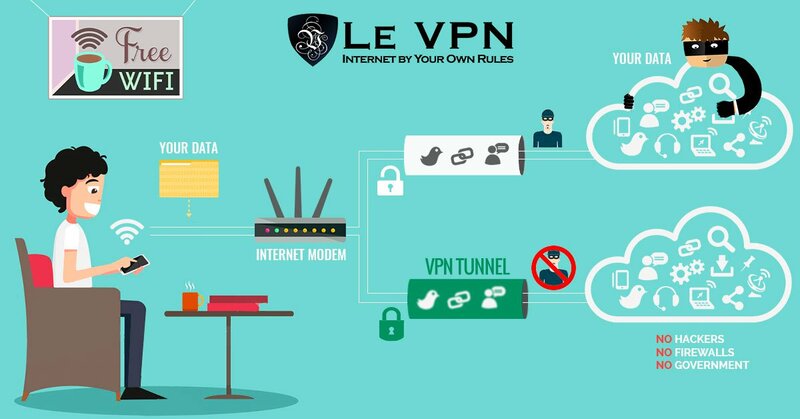 Likewise, the VPN should cover you while you on your smartphone or accessing a public network at somewhere like a cafe or hotel. 3) Does It Offer Multiple Server Locations? A huge percentage of online content is geo-restricted. Even YouTube offers significantly different content depending on what country you are located in. This is doubly true for paid streaming services like Netflix or Hulu, which may be completely unavailable in certain countries. For this reason, you want to be sure the VPN offers you a choice of multiple server locations- at least ten. This will allow you to access the content you want no matter where you are. 4) Do They Keep Logs? These days, VPN services that follow a "no logs" policy have exploded in popularity. Most people utilize VPNs so their data and IP address can be kept private. However, some providers keep logs of their users' activity. This can be problematic for two reasons. If the VPN server is hacked, then your IP address and personal data can become vulnerable. Secondly, you lose all anonymity because there will be an exact browsing history of your activity. If privacy is your ultimate concern then make sure "no logs" is one of the top features. This is another time when VPN comparisons are essential because many providers claim to follow this policy, but actually don't. 5) What Security Features Do They Provide? This is where the technical jargon may get a bit overwhelming for people new to VPNs, but you don't have to know everything. Just be on the lookout for a few key phrases. The best VPNs offer a higher level of encryption to ensure your data is truly protected. One of the highest standards is the "AES-256" protocol. If a service provides this, that's a good sign. Another important feature is a "kill switch." A kill switch shuts down your internet connection should there be some failure with the VPN. For example, if your connection is dropped or if there is some glitch in the system, it temporarily shutdowns internet access. This is essential because otherwise, you'd be using the internet unprotected and all of your data would be visible to your ISP, hackers, and other potential threats. BONUS: Do They Have Bandwidth Restrictions? Even if a VPN offers fast service, they may have bandwidth restrictions to prevent certain activities such as torrenting. Some services may claim they offer unlimited bandwidth, but if you read the fine print, it may be limited to a certain amount of gigabytes or terabytes per month. For any paid VPN service, you should have unlimited bandwidth, so be sure to check for that when making VPN comparisons. When searching for the right VPN, the main things you need to focus on are speed, security, anonymity, and bandwidth. Each VPN you look at should be competitive in all of these categories. After this, the final factor is the price. More expensive isn't necessarily better. There are great VPN services for between $4-10 per month. You can even get discounts if you sign up for annual or longer plans and get an even better deal. So get out there and start making some VPN comparisons to find the perfect one for you! When will the Samsung Galaxy J3 (2016) and the Galaxy S5 Mini be upgraded to Android Marshmallow? Although there hasn't yet been any official confirmation to this, reports suggest that the Galaxy J3 (2016) and the Galaxy S5 mini will receive their Android M updates sooner than later. 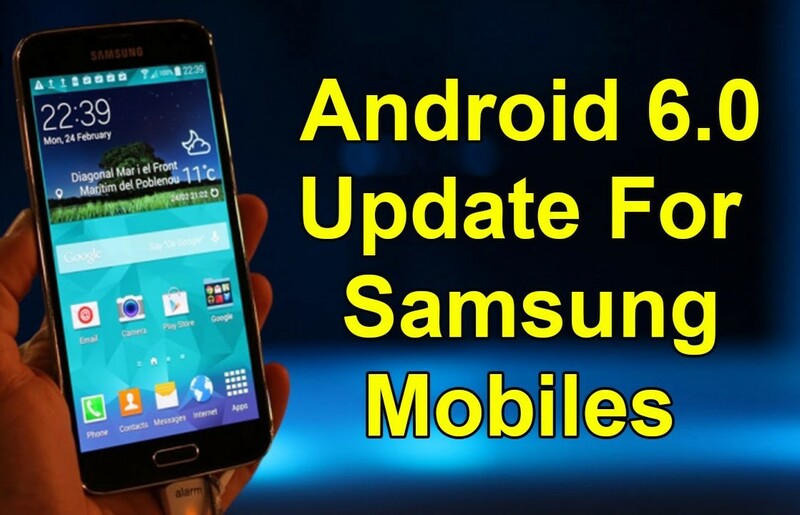 In fact, the update has been due for a while now as the versions released in the US and South Korea were launched with Android Marshmallow 6.0 right out of the box. The Galaxy S5 Mini was released way back in 2014 and back then, it was launched with Android KitKat 4.4.2 inside. It was upgraded to Lollipop 5.1.1 by Samsung in 2015 but there is one more major upgrade that the handset is entitled to. According to one of SamMobile's reports, the Marshmallow firmware for the S5 mini was seen at the Wi-Fi Alliance recently. All its major smartphones from 2014 - 2016 have either been already updated to Android 6.0.1 by the Korean OEM or is in the process being updated, but one cannot help but feel that some of them are arriving a bit later than they should have. The Galaxy Alpha, Galaxy A5, Galaxy A7 and Galaxy A8 are some of the other models that are still awaiting an upgrade to Marshmallow and hopefully, that wait won't stretch much longer than it already has. Tags: checklist through when choosing vpn when samsung galaxy 2016 mini upgraded android marshmallow? 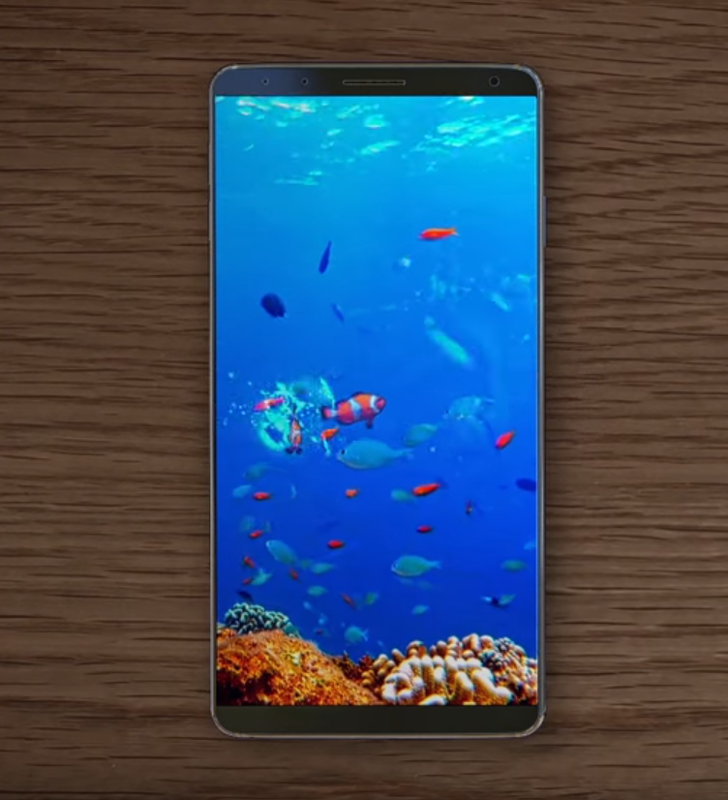 When will Samsung launch the Galaxy S8? It’s confusing! If you have been following us then you probably already know that the release date of the upcoming Galaxy S8 has been a cause for much confusion recently. Initially, we were almost convinced that Samsung had no plans to deviate from its usual schedule of launching the S-series of smartphones at the Mobile World Congress, but a new report informed us that Samsung has decided to delay the date of revelation to April. The event will supposedly be a Samsung-exclusive event, held in New York on April 17. However, another report came in straight out of Korea which claimed that Samsung will indeed be showing off the Galaxy S8 at the MWC, albeit with a handful of units. Amidst all this confusion, Korea has managed to produce yet another "report," which is now stating that Samsung will indeed be delaying the Galaxy S8 till April, but it will be launched on the 15th of April, rather than on the 17th. Which one do you think is the right date? Check out the links to read the individual reports and let us know what you think. Tags: checklist through when choosing vpn when samsung galaxy 2016 mini upgraded android marshmallow? when samsung launch galaxy s8? it’s confusing! The Galaxy Note 8 is due to be launched in roughly two and a half weeks, but that does not mean that you would be able to buy it right away. 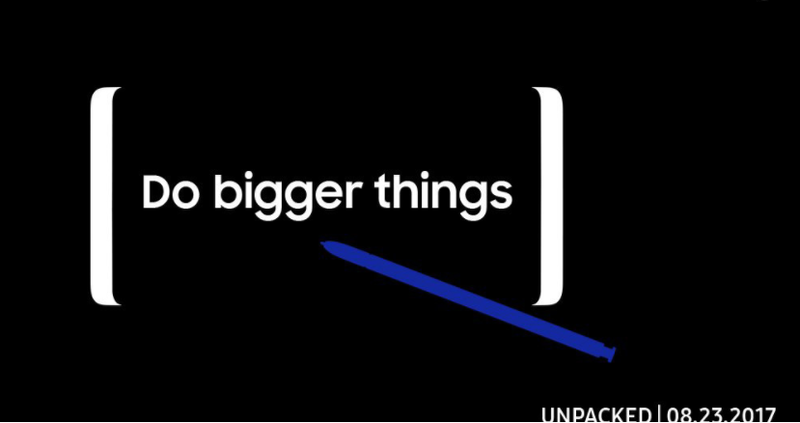 What it does mean is that on August 23rd, we will all get our first official look at the Galaxy Note 8 at an exclusive Samsung event in New York. Also, Samsung will reveal information at the launch event, regarding when the much awaited smartphone will go on sale. However, according to leaked news by ETNews from South Korea, the release date is no longer a secret. If the reports are right then the Note 8 will be available for purchase in South Korea from September 15. This sale will begin only via the local carriers initially. However, the online pre-orders will likely begin much before that; two weeks to be precise. This means that the LG V30 will directly compete with the Galaxy Note 8 next month in Korea. Although no other information was leaked concerning the Note 8's release date in the US, we are guessing it should be roughly around the same time. 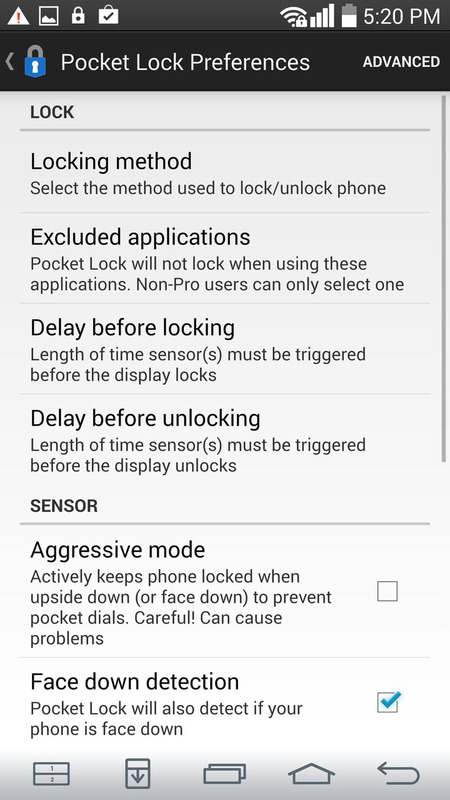 Locking and unlocking a smartphone is something we do almost subconsciously at this point. However, this doesn't mean the process doesn't feel tedious at times. The processors and sensors inside our handsets our so powerful, why can't they simply lock and unlock the device as we take it out of out pocket?! After all, if we're taking it out, it is dead obvious that 90% of the time we intend to use it, and the other 10% we may leave it on a table, or to charge, or whatever. While smartphone manufacturers haven't worked in this automated functionality yet, Android developers have. 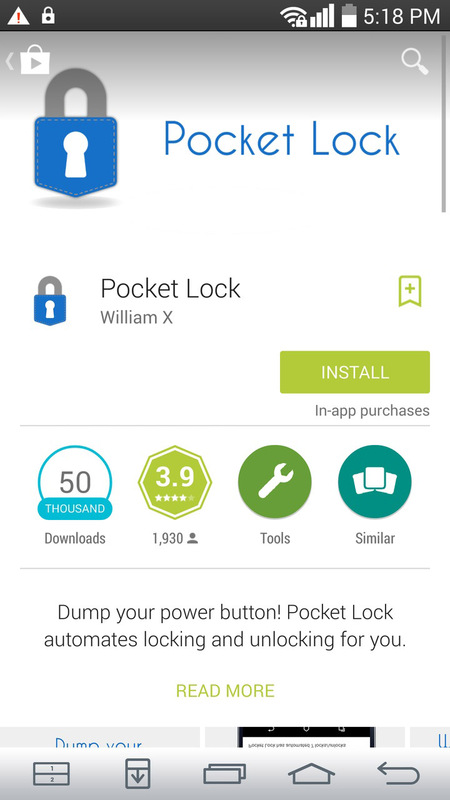 Meet Pocket Lock, an app that's designed to do exactly what we described unlock your device when you take it out of your pocket, and lock it when you leave it in your pocket. You can also have the app lock and unlock stuff as you wave your hand in front of it, or flip the phone upside down. Just Download the App and Switch "Pocket Mode" ON. Get the App from the Play Store link below, It's Free! We live busy lives. There's rarely a chance to properly relax. But when you find you've got ten minutes spare, and you're sick of checking Twitter and Facebook, try a quick game on your smartphone. Here's a selection of fun games including strategy, sport and puzzles that you can play when you haven't got a lot of time spare. You'll know the classic game, no doubt, but this is a re-imagination of it for the smartphone generation. Some things haven't changed - random blocks drop down the screen and you have to align them to form solid blocks that then disappear scoring you points. But in Tetris Blitz, you've only got two minutes per game to score as many points as possible. This is a fun and fast-paced twist on the original classic and can be played when your spare time is limited. Flick Soccer is a simple and addictive game that sees players race against the clock to kick goals, hit targets or score points in other ways. The smart and effective swipe recognition offers great functionality, allowing the user to control trajectory and giving the player a more immersive experience. Feeling like a quick ten-minute puzzle? Then, look no further than Dots, a game you're likely to become engrossed in as you try to quickly line up identically-colored dots. Draw a line through your dots to gather them all up, and earn bonuses by closing the loops. Each round is decided by either time or a number of moves, with your gathered dots used to gain power-ups for future games. If you've got a friend, you can challenge them to pass-and-play. Okay, you might think it takes hours to win the big money in poker and that's probably true. But you can play for free via countless apps, some geared around real-money gambling, some made for those who just want to play for fun. With play-money apps like Appeak Poker, you can play a quick game of sit and go Texas hold'em without worrying about risking your hard-earned cash or clock-watching. There are also games like Politaire - a combination of poker and solitaire - which you can play in ten minutes too. Not only are slot games fun, but you can also pocket some handy cash too. There are plenty of slots available on mobile devices that are easily accessible and convenient when you've only got a short space of time to play. Reliable operators also offer new customers bonus money with Android and iOS users able to access hundreds of different slots games to ensure there's often something new to enjoy. In today's fast-moving world, our lives are so busy we get little time to relax. So if you get a few minutes to yourself, make sure you use them wisely. These great smartphone games are a good way to switch off for a few minutes when you're tired of scrolling through your social media channels. What do you Need to Look out for When Joining Slot Sites? Online casinos are abundant in the UK, but that doesn't mean that they are all the same. You can always get information from reliable websites that pick only the best new UK slots to review, but you yourself should have a basic idea about what to expect as well. 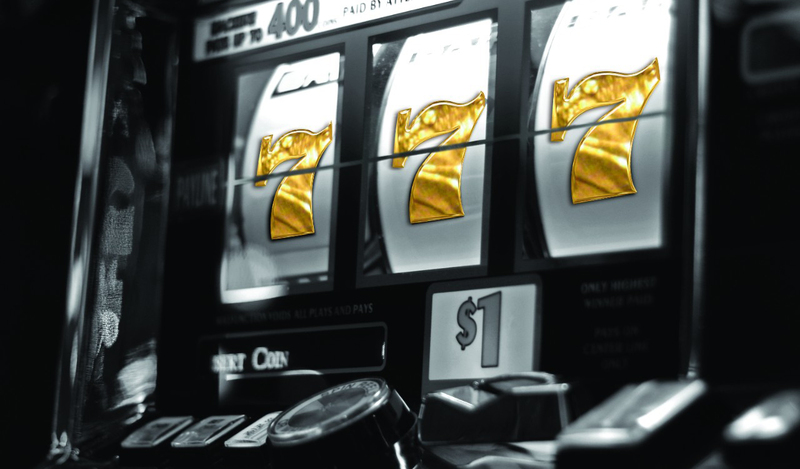 Here are a few pointers to keep in mind while joining a new slot site. This is one of the most important factors to remember before joining a slot site. The online casino should have license to operate in the jurisdiction where its servers are maintained. Depending on the jurisdiction which is responsible for its regulation and licensing, the experience may differ. It might be best if you checked the slot site's licensing properties in the UK as well before joining. An eCOGRA certification is a good sign and usually means that the site is secure for safe monetary transactions. When it comes to online casinos, the software is everything. It decides the games you can play, the graphics, the animations, the audio, themes, player options and just about everything that determines a user's experience on a slot site. Before signing up, it is probably a good idea to make sure that the casino is using software from market leaders such as Microgaming, Playtech and NetEnt. Almost all slot sites will offer welcome bonuses to you on signing up, but it's up to you to choose the one that's presenting the best first time offers, according to you. Even after you sign up and your first time offers have expired, you should be getting periodical offers from the casino every once in a while. Customer care is important as that's how you are supposed to interact with the casino, especially if something goes wrong. Even if the site doesn't have 24 × 7 customer care available, check to see if support will at least be available during the time when you usually gamble. 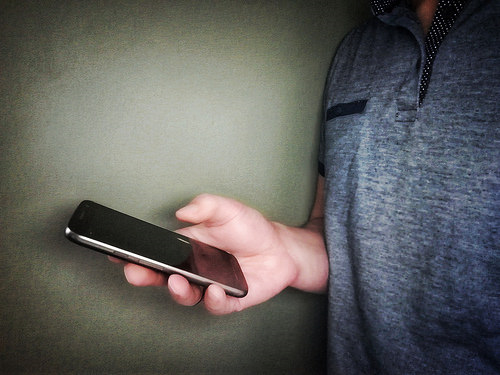 Live chat options are far better than email communication since it's a much faster process. Alternatively, you should be able to call them up if you need to. If a casino is operating in the UK, the customer care executives should speak English, but check the language options before signing up nevertheless. Once you have made sure that a casino checks all the above boxes, sign up and try out a few slots to see if you like how it feels. If you don't like it, there's always something better waiting for you. Tags: checklist through when choosing vpn when samsung galaxy 2016 mini upgraded android marshmallow? when samsung launch galaxy s8? it’s confusing! this when able buy galaxy note samsung enter ces 2018 empty handed when comes smartphones pocket lock app automatically unlocks your smartphone when take out games play your smartphone when you’ve only got minutes spare what need look out when joining slot sites? Do you remember the movie called National Lampoon's Vegas Vacation, when the gaming fever consumed Chevy Chase's impersonation of Clark W. Griswold? He went on a losing streak, to defeat all losing streaks and in the meantime, his son Rusty won four cars by playing on slot machines. Perhaps Clark might have done better if he had read this article. Here, you will discover the fundamental ideas behind slots and how they work. This will let you get past all the myths and create a strategy that is entirely based on probability. When operators advertise that their slots payout an average of 90%, the fine print they do not want you to read states that you lose 10 cents for every dollar you place in the machines. In terms of probability, this endorsement means that your expected wins are minus 10 cents on each dollar that you spend. Suppose that you start with $100 and wager one dollar at a time. After you insert $100 into the slot machine, 100 pulls later you will end up with $90 on average since you lose 10% of your funds. If you run the $90 back into the machine, you will end up with 90% of it back. Or in other words 0.90x 90 = $81. Moreover, if you run that through, you will have approximately $72.90. If you do not stop for about 44 rounds more, all your money will be gone, unless you have Rusty's luck. So, how many pulls at this rate do your $100 give you? Each time you will have less money to play through, so you will have less pulls left. For instance, if you play $1 at a time, you can expect approximately 972 pulls with the average payouts. This is the total pulls in about 44 rounds. However, you should keep in mind that operators are designing slots to go faster between spins. Some of them are even doing away with the tokens and handles by using digital readouts on the cards that you place in the slots. 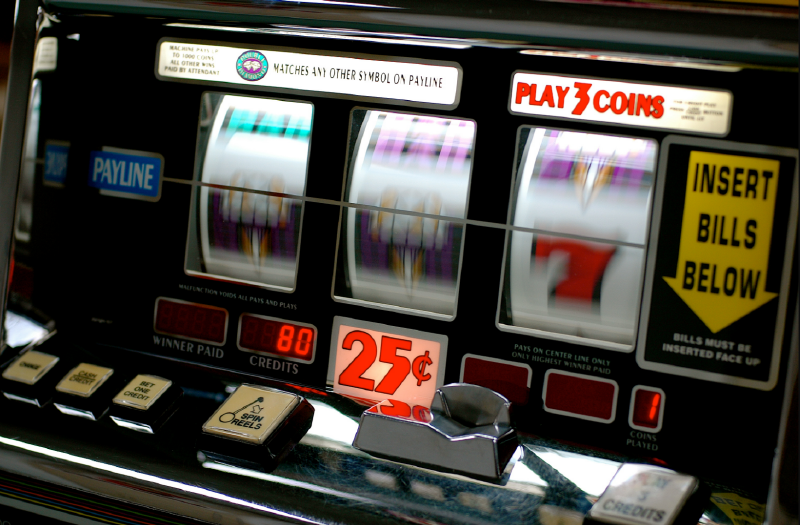 The faster machines can play about 25 spins per hour, and if you have money for 972 spins, you will have 38.88 minutes. Thus, you will not have a long time to enjoy your $100 before it is gone. So, what is the worst part here? Casinos often boast that their average payouts are as high as 95%. However, this number only applies to specific machines, and the casinos will not tell you which ones. So, you need to ask or read the fine print before you rush into playing. Another thing you can do is check the information on the slot to see if it lists its payouts. You're probably wondering if the same works for online slots. The answer is yes. However, the percentages are usually higher, since sites have less expenses than land based operators. That is why every day, gamblers all around the world are discovering new slot websites where they can play the popular game. How to Implement a Simple Strategy for Slots? Advice varies regarding if you play nickel, quarter or dollar slots and if you should max the number of coins you wager or not. In this section, we will give you several tips on getting the most bang for your money. When it comes to slots, strategy boils down to knowing your probability of winning, the expected payouts, and the rules, quitting while you are ahead and dispelling any myths. If you win $100, you should cash out half and play with the rest. After you lose a particular amount, you should not hesitate to quit. You should go to the all you can eat buffet and try your luck with the food, the odds are that it is good. How Many Coins Should You Play at a Time? When you are determining the number of coins you should bet per spin, you should scrutinize that more can be better. If the slot gives you more than 2x the payout when you place in 2x the coins, you should max out instead of playing only one coin. This way you will enhance your chances of winning a larger pot, and the expected value will be higher. If the machine just gives you n times the payout for n coins, it will not matter if you use the max number of coins or not. You might as well play 1 at a time until you can make money and leave so your money lasts longer. For example, if a quarter machine pays you 10 credits for the 777 outcome when you place one quarter. However, if you play 2 quarters, it will give you 25 credits. And if you play the max number of quarters, for example four, the same outcome will result in 1,000 credits. You can see how playing four quarters at once will give you a greater chance of winning a larger pot in the long run compared to a single one at a time for four tries in a row. Android Nougat: When will it arrive for your phone? 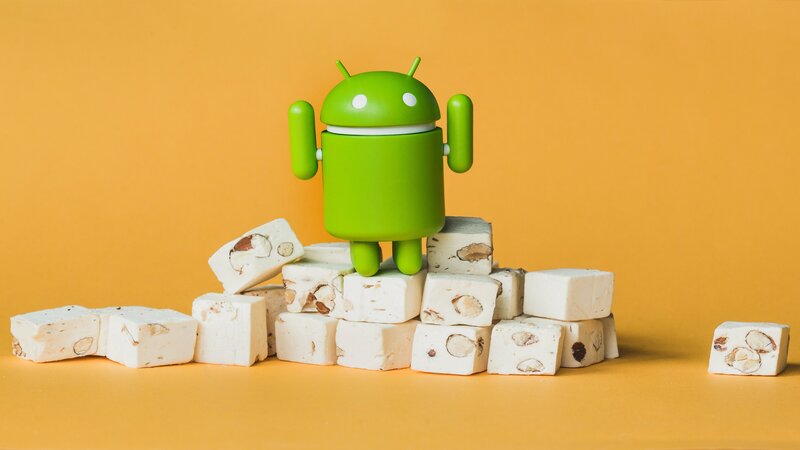 As the new year is almost upon us and Google has officially released Android Nougat 7.1.1, let us now take a quick look at when and if your device is going to get upgraded to the latest and greatest OS from Google. Timeline: No confirmation yet, but the roll outs should start in early 2017. Eligible devices: Galaxy S7, S7 Edge, Note 5, S6, S6 Edge, S6 Edge +. More might be added later on. Eligible devices: HTC One A9, HTC One M9, HTC 10. Timeline: Roll outs have already started for the LG G5 (South Korea) and will continue well into 2017. Eligible devices: LG G4, LG G5, LG V20. Timeline: The rollouts have already begun from December, 2016. Eligible handsets: Sony Xperia Z3+, Sony Xperia Z5, Sony Xperia Z5 Compact, Sony Xperia Z5 Premium, Sony Xperia Z4 Tablet, Sony Xperia X, Sony Xperia X Compact, Sony Xperia XA, Sony Xperia XA Ultra, Sony Xperia X Performance, Sony Xperia XZ. Timeline: Already out and rolling. Eligible devices: Google Nexus 6, Google Nexus 9, Google Nexus 5X, Google Nexus 6P, Google Nexus Player, Google Pixel C, Google Pixel, Google Pixel XL. Eligible devices: Priv, DTEK50, DTEK60. Timeline: Depending on your location and your handset, it could have already arrived back in November. Eligible devices: Moto Droid Turbo 2, Moto Droid Maxx 2, Moto X Force, Moto X Style, Moto X Play, Moto X Pure Edition, Moto G 4th Generation, Moto G Plus 4th Generation, Moto G Play 4th Generation, Moto Z, Moto Z Droid, Moto Z Force Droid, Moto Z Play, Moto Z Play Droid. Timeline: No confirmation, but it is expected to be in early 2016. Eligible devices: Honor 8, Mate 8, Mate 9. P9-series. Eligible devices: OnePlus 2, OnePlus 3, OnePlus 3T. Tags: checklist through when choosing vpn when samsung galaxy 2016 mini upgraded android marshmallow? when samsung launch galaxy s8? it’s confusing! this when able buy galaxy note samsung enter ces 2018 empty handed when comes smartphones pocket lock app automatically unlocks your smartphone when take out games play your smartphone when you’ve only got minutes spare what need look out when joining slot sites? why should use probability when hit slot machines android nougat: when arrive your phone? With all that's going on with the Samsung Galaxy Note 7's exploding batteries and the iPhone 7's somewhat disappointing unveiling, there is a perfect market for LG to introduce its flagship V20 smartphone to the consumers now. The chances of LG seeing a much better sales number with the V20 than it did with the V10 or the G5 is pretty high because at least a portion of the consumers looking to buy a new flagship device would be tempted to try out a premium device from a reputed company that has kept the 3.5mm jack and doesn't blow up while charging (hopefully!). Unfortunately, there is no definite news about the smartphone's availability, except the fact that it is expected to be released near the end of 2016. This has been confirmed that the LG V20 will be the first smartphone in the world to be shipped with Android 7.0 Nougat pre-installed. Have a look at some of its other prominent features and decide for yourself if you should hold on from upgrading for just a little while longer. Dual rear cameras: 16mp sensor with f/1.8 aperture and 8mp sensor with wide angle lens and f/2.4 aperture. The only two things we did not like about the V20 so far are the 3200mAh battery which could have been slightly larger and the lack of water-resistance that both the Note 7 and the iPhone 7 has. 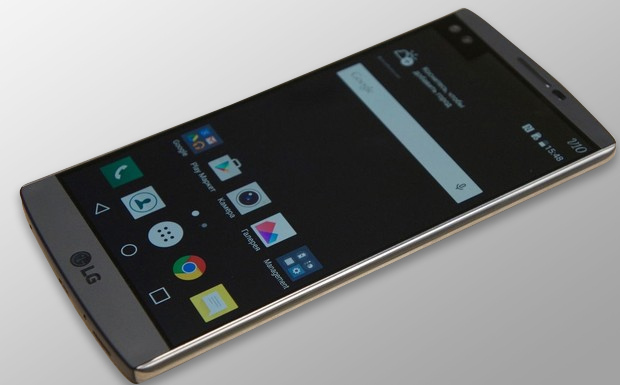 Other than that, the LG V20 looks to be a solid smartphone and it might be a smart move if the Korean OEM pushed the device a little earlier than rumoured. When Will the Galaxy A5 (2017) and the Galaxy A7 (2017) Getting Android Nougat? Any handset released in 2017 is expected to at least run on Android Nougat v7.0 and above, but that wasn't the case with Samsung's Galaxy A branded smartphones of 2017. Instead, when they came out, they were running on Android Marshmallow 6.0.1; a version of Android that while isn't old enough yet to be called backdated, is still over two years old at this point of time. The good news is that although late, the Galaxy A5 (2017) and the Galaxy A7 (2017) will both be getting their respective versions of the Android Nougat firmware officially from Samsung soon. 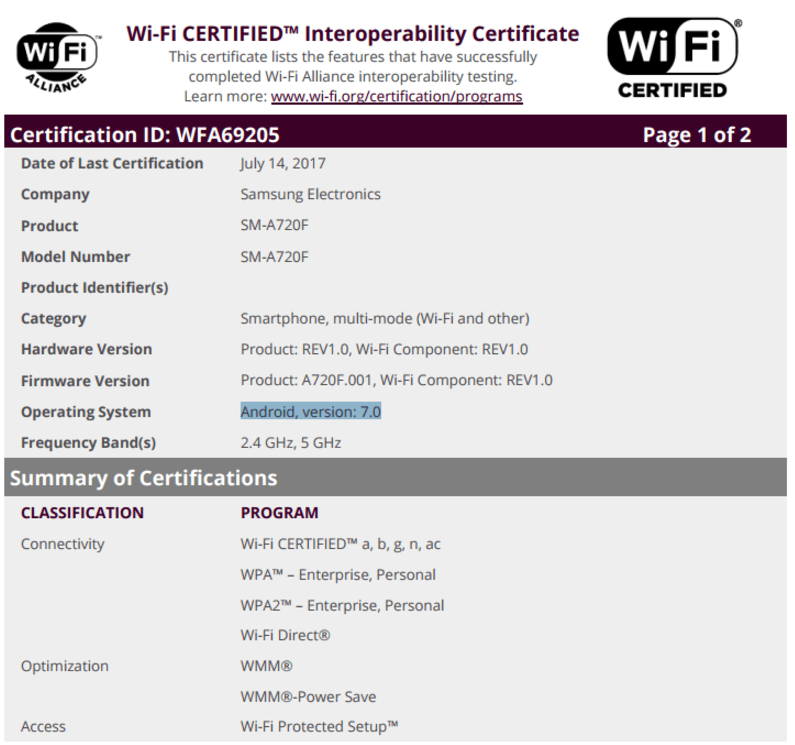 Both the Galaxy A5 (2017) and the Galaxy A7 (2017) has been spotted running on Nougat 7.0, merely hours earlier at the Wi-Fi Alliance website for certification purposes. This is a clear indication that the updates are just about to be rolled out to the Galaxy A smartphones for 2017. If you own one, keep that Wi-Fi fired up! Tags: checklist through when choosing vpn when samsung galaxy 2016 mini upgraded android marshmallow? when samsung launch galaxy s8? it’s confusing! this when able buy galaxy note samsung enter ces 2018 empty handed when comes smartphones pocket lock app automatically unlocks your smartphone when take out games play your smartphone when you’ve only got minutes spare what need look out when joining slot sites? why should use probability when hit slot machines android nougat: when arrive your phone? v20 could perfect flagship that looking when comes out when galaxy (2017) getting android nougat? Is this When Samsung Will Release Android Pie for the S8, S8+, Note 8 and Note 9? While updates are released throughout the year, no other update is as exciting or as anticipated as the yearly OS upgrade. In case you own a Galaxy S8/S8+/Note 8/Note 9, that day of rejoice might not be very far away now. According to a post by guncelmiyiz (official Samsung blog in Turkey), the Galaxy Note 9 would be among the first devices to receive the OS upgrade to Android 9 Pie on January 15. The source also reveals that the Galaxy S8. S8+ and Note 8 will start receiving the same update, exactly a month later on February 15. As is to be expected, the updates will come equipped with Samsung's One UI on top. In case you are wondering why the S9 and S9+ were not mentioned by the source, then that's because of the fact that stable versions of the One UI, powered by Android 9 Pie OS had already started circulating to non-beta users in Germany less than a week ago. What this means is that the S9 and S9+ users will be the first to experience finished versions of Samsung's One UI and Android 9 Pie on their respective smartphones.